Brian’s 6-weeks shy of his 2-year anniversary here at CFD. Within that time, he’s lost over 60lbs, his best suits because they don’t fit any more, but yet can lift small European countries in a multiple of ways. He’s also a certified Olympic Lifting coach at this point and has started a twice a week class for the youth rugby team he’s been volunteering for. CFD: When I’m not spotting you, I’m watching other people watch you lift. Most of the time, they watch you finish your set, turn, and shake their heads. You lift a good deal than most of us would every dare imagine for ourselves. What did you do before CrossFit that made you so strong? BH: I played rugby for a long time and did some minor competitive power lifting in college. I have always been a gym rat and moving weight makes me happy. There is instant gratification in looking at a stack and thinking “yeah, I just picked that up”. I was a thick kid and I embraced from an early age, running was never any fun and moving weight was so I stayed in the gym. CFD: Personally, I’m really happy to see you embraced CrossFit and Oly over just strict PowerLifting. Why have you changed your focus? BH: I embraced Crossfit because my old programming just wasn’t doing anything to improve my life outside of the gym. The gains were only numbers and I wasn’t any fitter, healthier, or happier for the time I spent. I think Oly was the first time I picked up a barbell and moving the weight didn’t come naturally to me. There was a combination of rage and fascination when I couldn’t keep up with people half my size on the barbell. The only options were quit or get better. CFD: Do you miss it sometimes? BH: Crossfit was an expansion of movements for me so I didn’t really let anything go or have anything to miss. Powerlifting provided me with foundational strength that I can apply to other things and it is time to move on to something new. Oly feels like a natural evolution from powerlifting. It fascinates me because of the complexity and technique. A lot of the time the bar is going one way and your body the other. CFD: OK, so let’s get the basics out of the way. Favorite movement and why? BH: Thrusters. For me it doesn’t get any better than squats and shoulder press. BH: Running, because I am sane. BH: Open WOD 15.5. “27-21-15-9 Calorie Row/95# Thrusters”. Thrusters are one of my favorite movements and calorie rowing is just an angry cardio deadlift. BH: Jerry. It has two mile runs and no barbell. The 2k row is just 8 minutes to dread the second mile. BH: Right now its Benchmark WOD PRs. CFD: What’s the biggest difference you’ve seen here in nearly 2 years? BH: Losing 65lbs. and 10 inches from the waist will make you feel like a new person. I’m just a happier person in general. 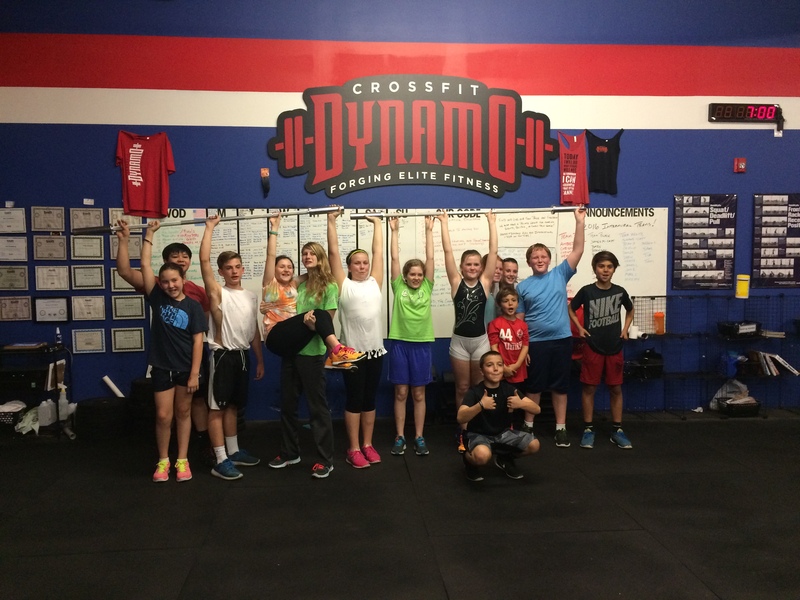 CFD: What got you interested in CrossFit and why did you pick Dynamo? BH: I didn’t know him at the time, but I ran into Tyler Lamb one morning at a CVS. He was wearing a CFD hoodie and I asked him how he liked it. I stopped by that evening for some information and ended up staying for the 530 WOD (Karen). I found it competitive and friendly at the same time. I was lucky to find the right fit the first time. I had a full distal bicep tear about two and half years ago. The physical therapy involved was humbling, I had to learn to use my left hand again because the surgery caused some issues with the radial nerve near my elbow. I remember one of the first tasks was gaining enough strength and control to pinch a clothes pin between my thumb and other fingers, which took almost two weeks. PT went on for nearly a year and most of the time I wasn’t allowed to run or ride a bike for fear of jarring the new anchors or a crash pulling them out altogether. While I was working through this my wife was pregnant with our second girl and I forgot she was the only one supposed to be eating for two so I gained a bunch of weight. 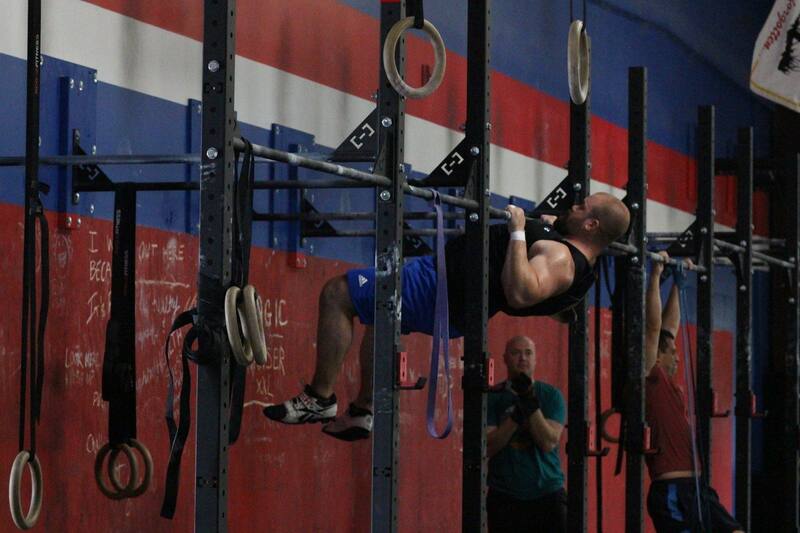 I needed a program that was comprehensive and geared towards better overall health so Crossfit was a fit for me. BH: It’s hard to pick just one but it all comes down to just a vast improvement in overall health. CFD: Where’s the best place in the world for you? Where do you want to explore next? BH: Anywhere with my wife and daughters. We just relocated to the area about two years ago; we are still working on exploring here. BH: The first time my wife and I completed an Rx partner WOD as a team. BH: Drew Wansley calling out a fake countdown to start a WOD, got people on the back apron to start dragging sleds. They had to bring them back and start over. I guess I think it’s funny because I wasn’t on the back apron.